The Metaphysics presents Aristotle's mature rejection of both the Platonic theory that what we perceive is just a pale reflection of reality and the hard-headed view that all processes are ultimately material. He argued instead that the reality or substance of things lies in their concrete forms, and in so doing he probed some of the deepest questions of philosophy: What is existence? How is change possible? And are there certain things that must exist for anything else to exist at all? 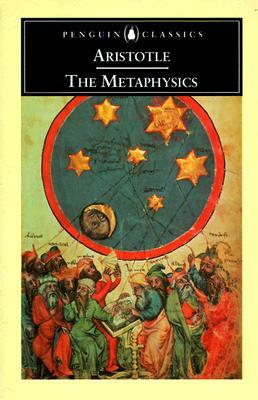 The seminal notions discussed in The Metaphysics - of 'substance' and associated concepts of matter and form, essence and accident, potentiality and actuality - have had a profound and enduring influence, and laid the foundations for one of the central branches of Western philosophy. In this edition Hugh Lawson-Tancred's lucid translation is accompanied by a stimulating introduction in which he highlights the central themes of one of philosophy's supreme masterpieces. Aristotle was born in 384BC. For twenty years he studied at Athens at the Academy of Plato, on whose death in 347 he left, and some time later became tutor to Alexander the Great. On Alexander's succession to the throne of Macedonia in 336, Aristotle returned to Athens and established his school and research institute, the Lyceum. After Alexander's death he was driven out of Athens and fled to Chalcis in Euboea where he died in 322. His writings profoundly affected the whole course of ancient and medieval philosophy. Hugh Lawson-Tancred was born in 1955 and educated at Eton and Balliol College, Oxford. He is a Departmental Fellow in the Department of Philosophy at Birkbeck College in the University of London. He has published extensively on Aristotle and Plato and is currently engaged in research in computational linguistics. He translates widely from the Slavonic and Scandinavian languages. He is married with a daughter and two sons and lives in North London and Somerset.